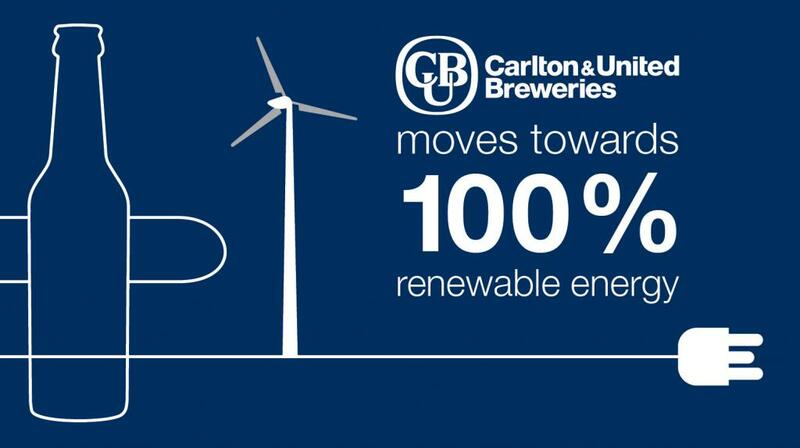 Australia’s leading brewer, Carlton & United Breweries (CUB), is today taking a significant step towards sourcing 100 per cent of its electricity from renewables. CUB is adopting renewable energy as the way forward with the signing of a 12-year Power Purchase Agreement (PPA) with German renewable energy developer, service provider and wholesaler, BayWa r.e. BayWa r.e. will provide 74,000 MWh per year of renewable energy, enough to power 7,500 homes, sourced from its solar farm in Mildura, Victoria. CUB’s partnership with BayWa r.e. will create up to 300 jobs through construction and opportunities for long term employment through the solar farm’s ongoing operation and maintenance. CUB CEO, Jan Craps, said, “This represents an important step in CUB’s commitment to 100 per cent of its electricity being sourced from renewables. CUB is also moving towards onsite solar generation, which will see solar panels on the roofs at each of our breweries. CUB is absolutely committed to delivering on an ambitious environmental and sustainability agenda. Already our Yatala brewery is a world leader in water efficiency, and the move to 100 per cent renewable electricity solidifies our sustainability commitment. Sites will remain connected to the grid, allowing excess capacity to be fed back into the system. Construction of the 112 MW solar farm is underway and BayWa r.e. has already self-financed and constructed the 4km grid connection. It will be built by Melbourne-based Beon Energy Solutions. “BayWa r.e. is delighted to be helping CUB to achieve its renewable energy goals.